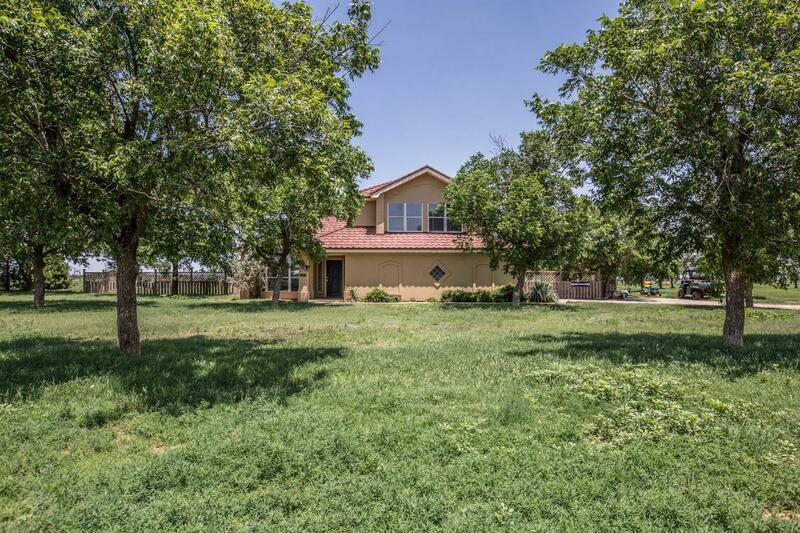 Outstanding 4/3/2 Spanish style two story country property located on 5.3 acres. Updated paint & carpet throughout. Large country kitchen with convenient island, pantry, breakfast bar, gas cook top, desk & bookcases adjacent to family/den area w/ fireplace. Spacious master suite w/ fireplace & opens onto private patio overlooking the backyard. Master bath features double vanities, separate tub/shower & large walk in closet. Formal living area & formal dining area. Upstairs office/study nook. Exterior amenities include underground water system, pipe fencing w/ smooth cable, 2 wind break sheds, a round pen, lighted arena & numerous pecan trees.